Despite no set timeline or allotted funding, a high-speed rail link between London, Kitchener, Pearson Airport and downtown Toronto is possible within a decade, says Premier Kathleen Wynne. Despite no set timeline or allotted funding, a high-speed rail link between London, Kitchener, Pearson International Airport and downtown Toronto is possible in a decade, says Ontario Premier Kathleen Wynne. 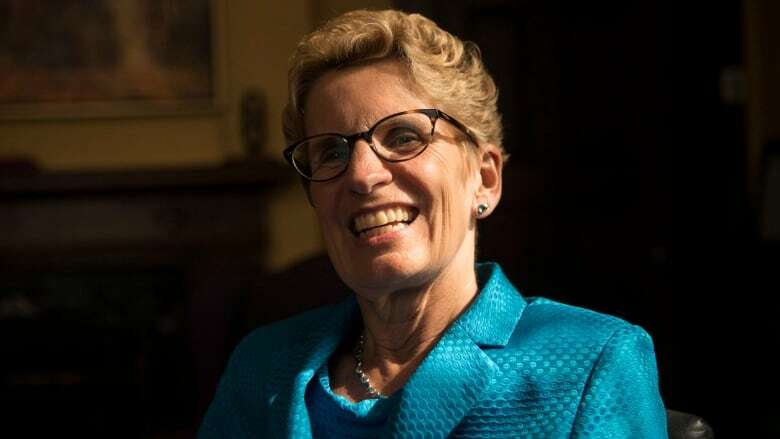 "Yes it is, that's what the engineers and experts have said is possible and that's why the minister of transportation has talked about that time frame, that decade," Wynne said in an interview with Craig Norris on The Morning Edition Tuesday. Wynne's comments are the first the Liberal government has made on high speed rail since the election on June 12, and come a day after the Liberals tabled their budget in the Ontario legislature. Before the election, Glen Murray, the transportation minister at the time, gave CBC News an exclusive interview outlining the details of a proposed high-speed rail line. "We're in the process right now of doing the environmental assessment" for the high speed rail, which includes the corridor to Windsor, Wynne said. Wynne first announced in June that Windsor would be included in that assessment, though that section of the high speed rail link would come later. A report on high speed rail feasibility by transit consultants First Class Partnerships has been the basis for the Liberals' proposed high speed rail line. Murray said the report would be released after the election. However, Wynne did not offer a timeline for the report's release. "That report is with the minister of transportation and we'll make sure that the information is available," she said. Wynne reiterated that the Liberal government is committed to expanded GO service between Kitchener-Waterloo and Toronto. "As you know we added more trains, and we'll be adding more trains immediately to the Kitchener-Waterloo line, but the full two-way, 15-minute GO service, that will take a couple of years," said Wynne. "And we've committed to electrifying the whole system." In March, Wynne announced four new GO train trips, two from Kitchener to Toronto in the morning, and two additional trains from Toronto to Kitchener in the evening, starting in 2016. It's not clear if that goal is moved up, based on her comments on The Morning Edition. And while she didn't commit to a specific date for the rollout of full all-day two-way service, Murray said in May that he believed it was possible within five years. A new train layover facility for Kitchener was announced at the same time as the expanded service.